If your business depends 100% on you doing the work, you don’t really own a business, you just have a job. When you first start out in business, you are usually the person who handles absolutely EVERYTHING. You build out your own little website, you handle the bookkeeping, you do sales, marketing, and use QuickBooks to ensure you get payment from each job and pay your vendors. In short, you’re doing the technical work, making the sale, processing it, and just trying to pay that mortgage. Business owners succeed when they work to systematize their business, deliver referable solutions, and find focus at every step of the way. It goes without saying that you need to do the work for your business, and you also need to keep costs as low as possible. People like Me always talk about “working “on” your business not just “in” your business”, but the fact of the matter is that you’ve gotta hustle and GET WORK DONE! What’s your Core Focus Client? What’s your Core Focus Value Proposition? What’s your Core Focus Pricing? What are your Core Focus Services/Products? What are the Core Focus behaviors that you should be doing? Of all the products you could sell, which ones will you? Of all the pricing structures you could use, which one will you drive customers to? Of all the types of clients you could pursue, which niche will be your core? Pareto Principle: What are the 20% of activities that you should put 80% of your efforts toward, which will give you 80% of the return of your business? Of all the client types, what are the 20% where you make the most money? Of all the segments you could target, what are the 20% you can focus on that will bring the 80% fruit? While you need to work hard in your business, it’s critically important to work “on” your business. This is all about establishing systems, becoming more efficient, developing strategic plans, and analyzing your business. Imagine you were to sell your business MODEL, the “how you do and deliver your service or good”, as a franchise? Start to develop your systems in an ever-increasing manner so that you can develop a business that could be sold as a franchise OR operate without your direct efforts or supervision. What is your 1-year plan, 3-year goal, and 10-year picture look like? How can you become more profitable? What should you start, stop, and increase doing? How can you create a business that doesn’t rely on you to do the work or directly manage? That’s when you’ve transformed from having a job to being a true business owner! Finding organizations that you can outsource complex or risky parts of the business to is helpful. There are certain types of work that is much easier to outsource than to handle in-house. Every employee you have on your team is someone you have to pay self-employment tax on, insure, manage, administer to, and lead. It can also be very difficult to hire and fire team members for certain types of work and if you or your management aren’t keen on the industry, you might be totally incapable of setting proper expectations for that employee. What types of things am I talking about? Accounting is a complex world, and bookkeeping, taxes, and payroll all have complex operations to implement that can get costly and burdensome to administer. Over the last 25 years, too many people went and obtained their bachelors of arts, rather than their bachelors of science. The result is that accounting, CPA, and bookkeeping professionals are in an all-time high demand. Hiring someone in these areas inside your business is expensive, and leading, managing and guiding those employees can be even more difficult. 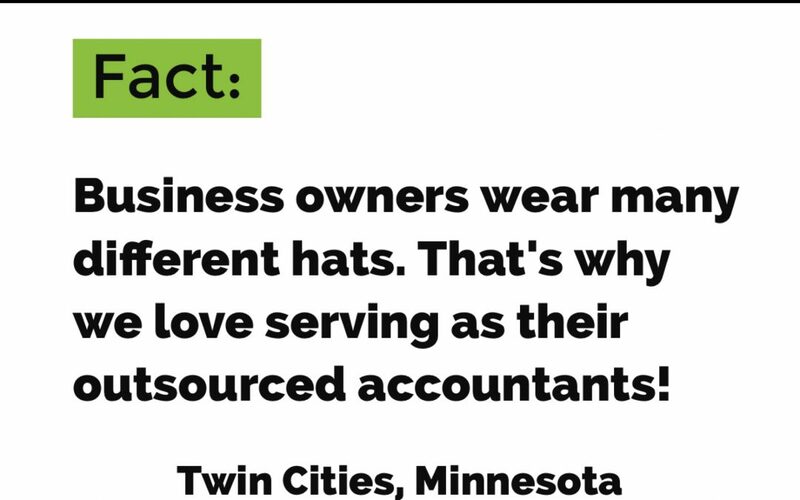 That’s why we’re having such great success at Nuance Financial, we serve as Outsourced Accountants for small businesses for a simple monthly fee. It’s usually difficult to develop message for your marketing, create beautiful images and collateral, and then handle the logistics of implementing a marketing plan. It can be helpful to find a specialized firm to come alongside you and help with this. Are you proficient in all the Adobe suite programs? Is it a good use of your time to hack together an uninspired piece of design? Probably not. Its just good to work with professionals in these areas – but beware of these opaque industries that are often trying to push something that might not be in your best interest. They are fighting to earn your business every contract period. You can hold them accountable for contracts easier. they are a tax-advantaged bill to pay while employees can be cost inefficient. You can get industry leading expertise rather than settling for what you can afford in an employee. They will try and earn more business from you, rather than get away with the least amount of work possible as some employees might be tempted to. Employees are the lifeblood of a small business, and we think that employees are a company’s top asset. We’re also aware that business owners benefit most when they’ve found ways to focus in their business. These are just a couple of ways I’ve noticed that business owners can succeed by focusing.